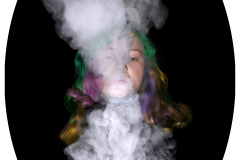 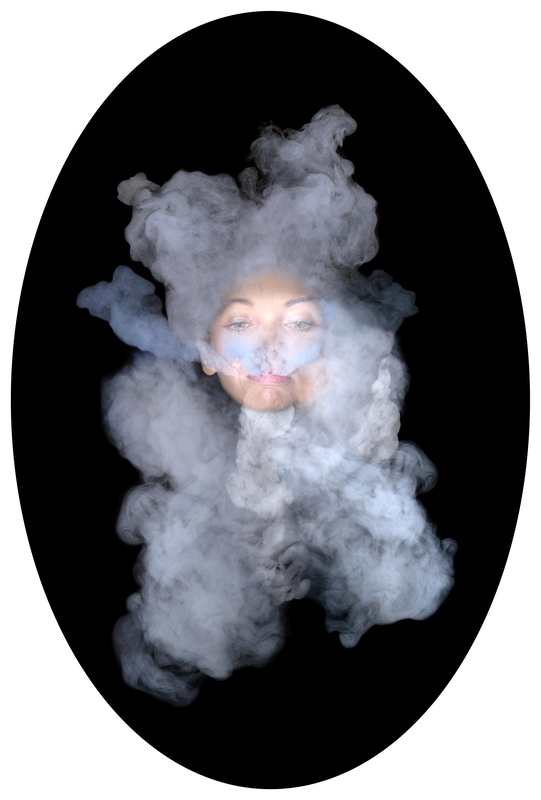 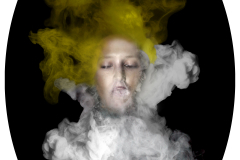 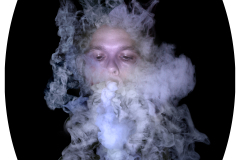 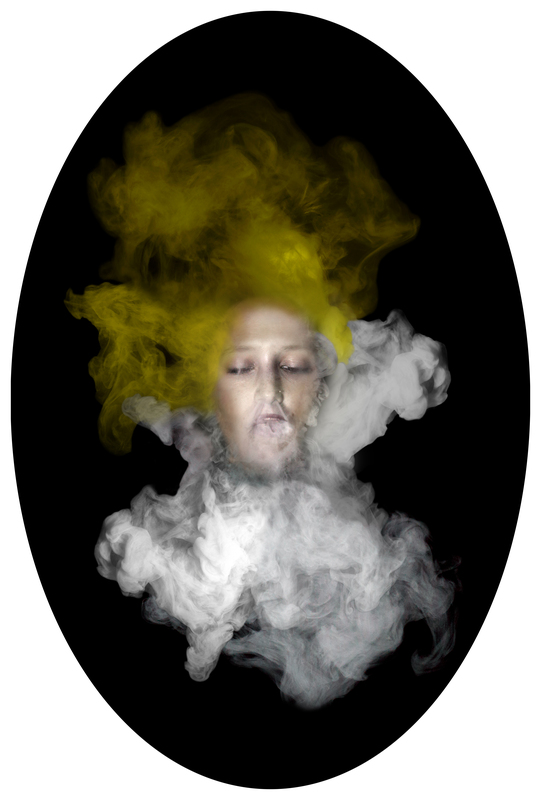 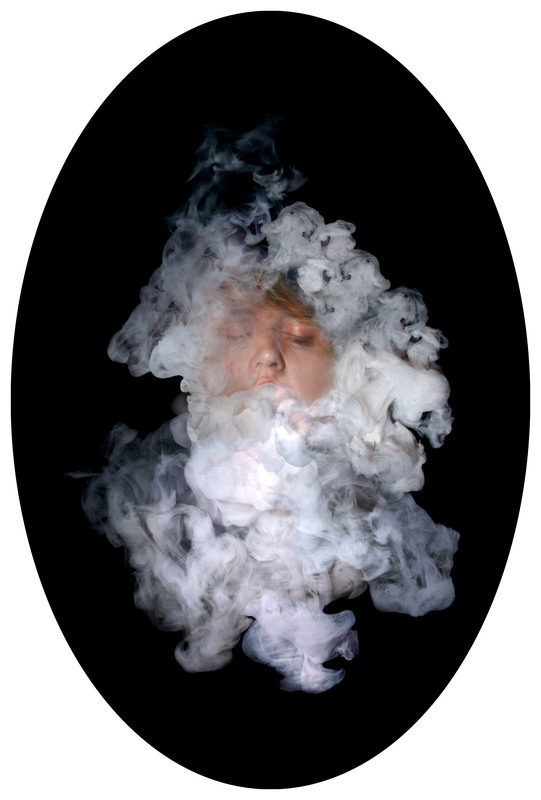 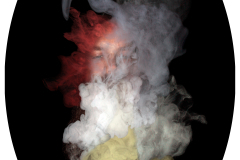 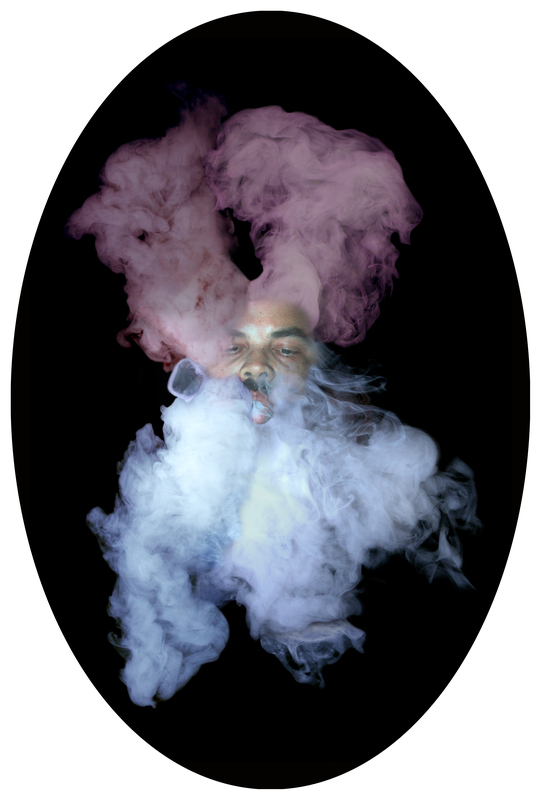 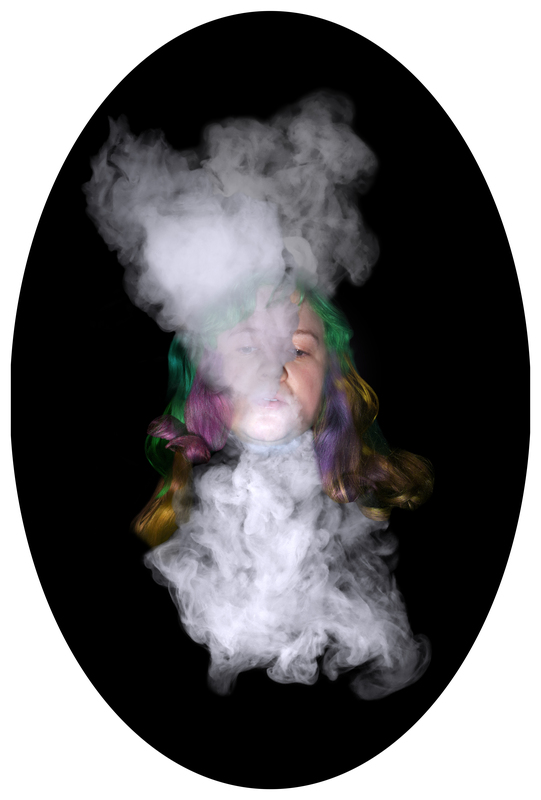 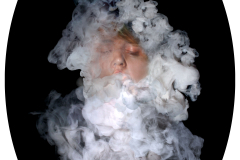 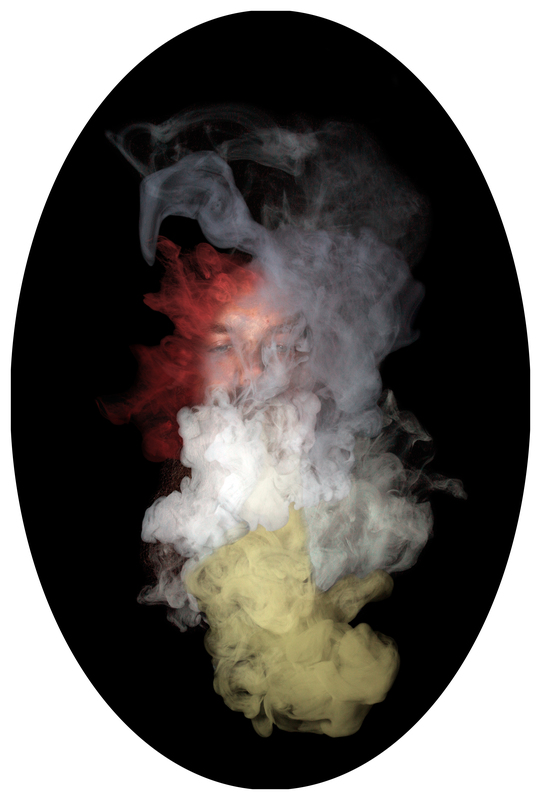 Chasing Clouds is a series that explores the visual manifestation of a breath pattern. 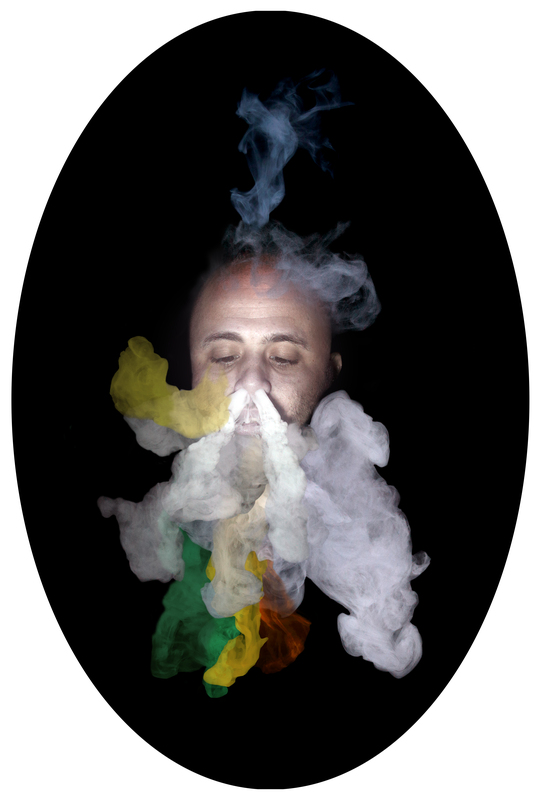 They suggest ectoplasm, escaping spirits, auras, chakras, energy fields, and the dissolution of the self. 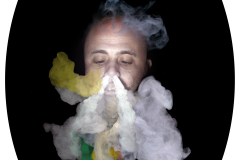 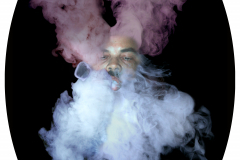 The series title is inspired from a vaping subculture that references the practice of exhaling large amounts of vapor to produce complex formations for the purpose of competition or spectacle. 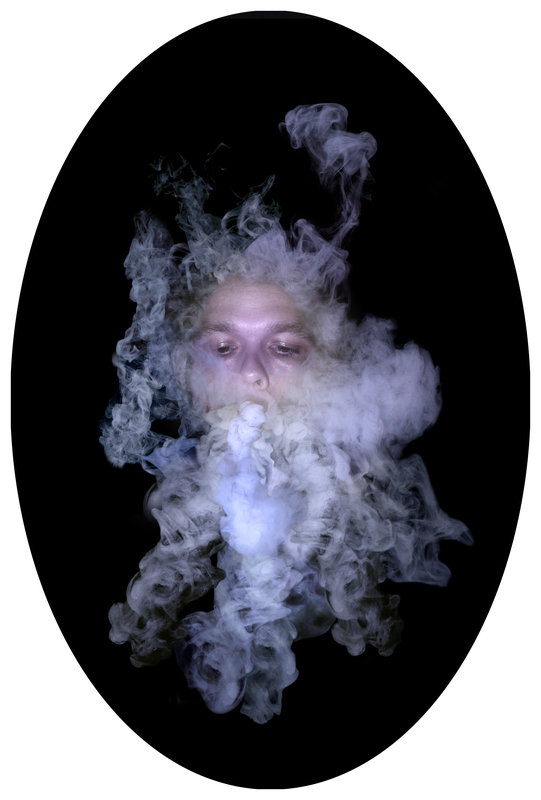 The oval shape and ultra shiny surface suggest a mirror or portal through which a transformation may be experienced or revealed.